We asked Texas attorneys what they wanted in a print codebook. Contains the new Business Organizations Code, which became effective January 2006, as well as the Business Corporation Act, relevant portions of the Texas Administrative Code, and much more. Includes the full Civil Practice and Remedies Code and provides portions of the Texas Constitution and many other civil litigation statutes. 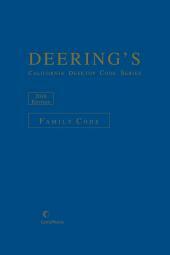 Contains the annotated Family Code and other family law-related state and federal statutes. This two-volume set contains the complete insurance laws of Texas - both the Insurance Code, as revised through legislation from the latest legislative session, and the extant portions of the Insurance Code of 1951. 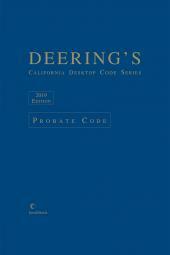 Contains the entire Texas Property Code, plus an extensive number of other real estate-related statutes. Collects the complete Texas court rules including Rules of Civil Procedure, Rules of Evidence, Rules of Judicial Administration, and Rules of Appellate Procedure. The rules are annotated with Texas Supreme Court and Texas courts of appeals cases. Also contains pertinent federal material, including 5th Circuit Rules and Internal Operating Procedures; Bankruptcy Rules for the Northern, Southern, Eastern, and Western Districts; and Local Rules for the Northern, Southern, Eastern, and Western District. Includes an annual spring supplement. Contains the local rules from all 254 Texas counties. 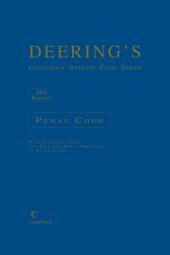 Contains the entire Texas Criminal and Penal Codes, as well as relevant criminal statutes from other code topics.